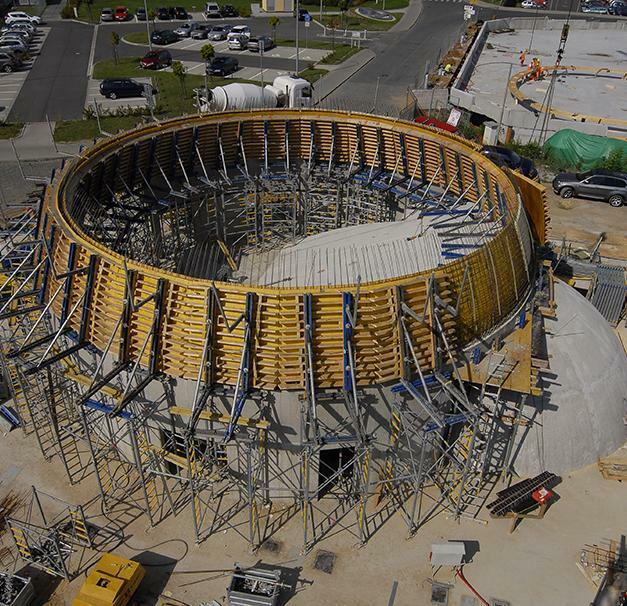 Building the educational centre and planetarium at the centre of Pilsen presented a huge challenge: it required designing and producing formwork for two domes measuring seventeen and nine metres in diameter. Additional solutions for constructing the building and the connecting bridge were needed as well. 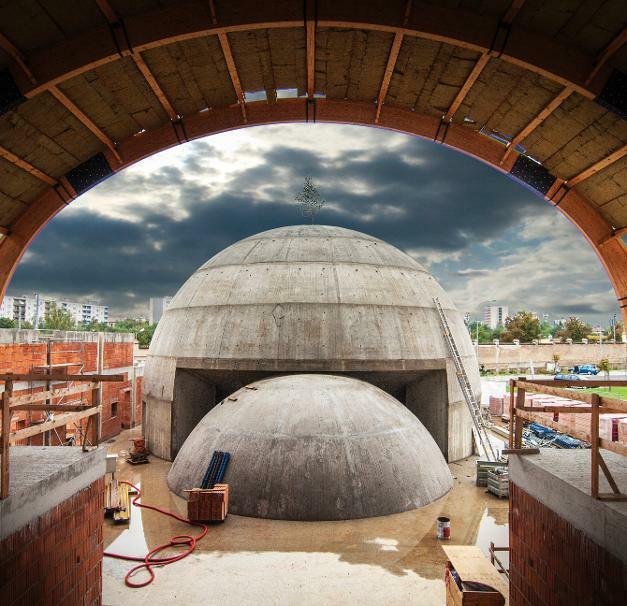 The construction project entailed planning and implementation of two concrete domes measuring seventeen and nine metres in diameter that were wedged together. 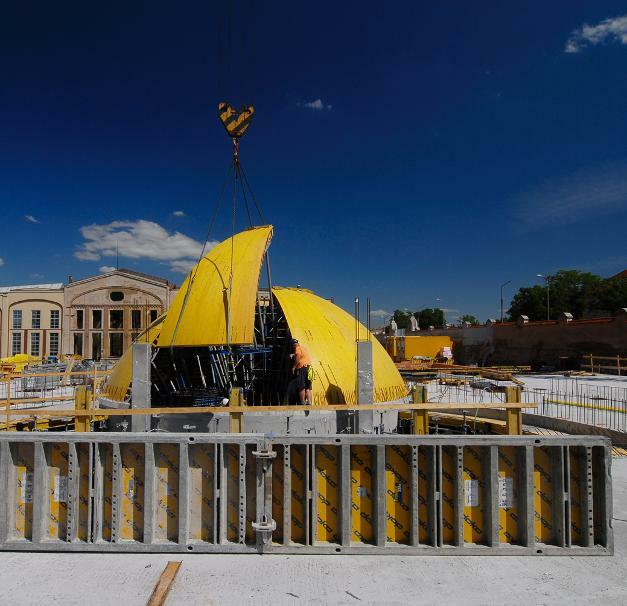 It also called for construction of walls, supporting columns and a bridge to connect the new centre and the existing building.